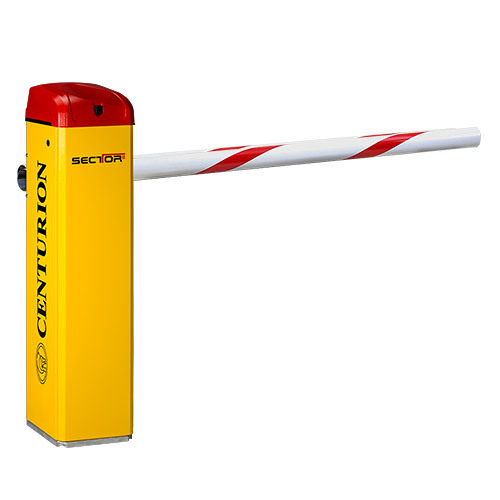 The CENTURION SECTOR II High-volume Industrial Traffic Barrier. Introducing the heir to the throne of high-volume vehicular access control. With an updated look that perfectly matches its superior performance, an optimised design for the ultimate in ease of installation and boasting the awe-inspiring speed that made its predecessor king of the access control jungle, the SECTOR II is the embodiment of automation evolution. Rapid boom pole raising (3 metre version < 1.2 seconds). Robust, durable and slimline operator casing. LCD user interface for simple setup. Onboard Centurion code-hopping multichannel receiver with selective add and delete. Pre-galvanised enclosure improves corrosion resistance (of mild steel variant). Electronics reside at the top of the enclosure for easy access. Powder-coated aluminium – with condensation shield – lid gives the unit an updated appearance and protects electronics from moisture damage. Improved cable routing and securing make for a neat and tidy installation. Easy to achieve AC and DC isolation. Available in three stunningly beautiful colours, all sporting the striking crimson crown. Please note that a price premium applies for the gun metal grey variant. 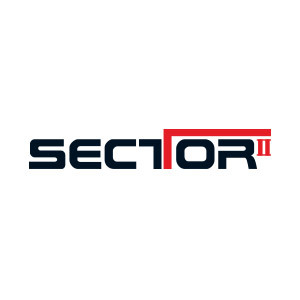 SECTOR 3 – Rapid speed high-volume barrier, 3m boom pole. SECTOR 4.5 – Standard speed high-volume barrier, 4.5m boom pole. SECTOR 6 – Standard speed high-volume barrier, 6m boom pole.